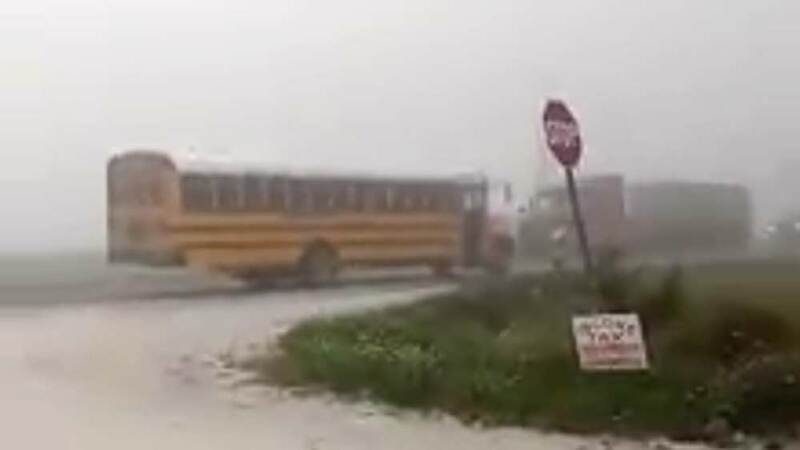 After two semis nearly missed a school bus on a foggy morning in Okeechobee County, the school district is asking for new signs to warn drivers. OKEECHOBEE, Fla. — Okeechobee County school leaders are asking the Florida Department of Transportation for help to keep students safe at the bus stop. A video sent to WPTV by a concerned resident shows dangerous driving conditions on U.S. 441 on a foggy morning. The person who recorded the video says two semis almost collided after barely stopping for an Okeechobee County school bus. Renee Geeting, the assistant superintendent for the county, says they are looking into how they can ensure students are safe at school bus stops. “We just want to take every precaution, even if the child doesn’t get hit on the side of the road. If the bus is impacted from behind at a high speed, that could cause some serious injuries on the bus, and that is our concern,” said Geeting. 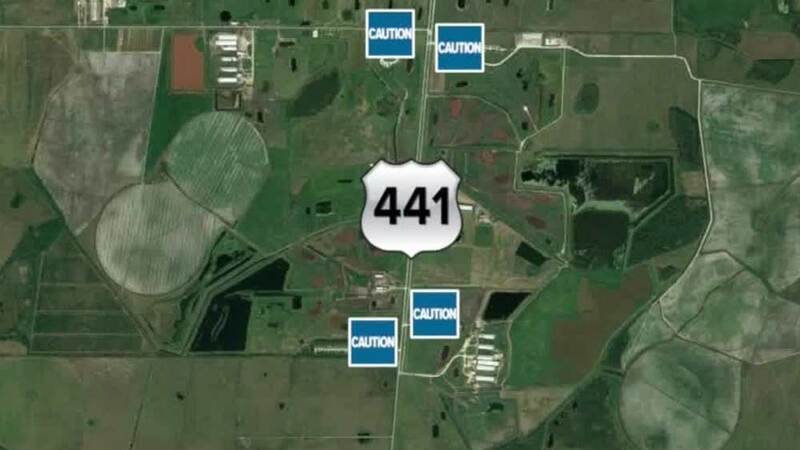 She says the district reached out to FDOT and requested new traffic signs be placed along U.S Highway 441 that could alert drivers there is a bus stop ahead. Geeting says currently there are no signs warning drivers that school buses have to make a hard stop in this area to let students on and off. On Monday morning, a group of students walked across U.S. 441 to ride the bus. Luckily, drivers stopped and obeyed traffic laws. However, Deborah Stella, whose grandchild rides the bus, says she is also concerned. “Many times when the bus is stopped, cars have just kept on going, and you’re going so fast down this road that when they finally do see the bus, it’s too late,” said Stella. Geeting said Okeechobee County school buses are safe, and they re lucky they’ve never had any major issues in the past. However, they are trying to prevent a future disaster. The Okeechobee County Sheriffs Office has also stepped in to help by having sheriff's deputies ride on the school buses to catch any drivers that don’t obey the traffic laws. FDOT spokesman Brian R. Rick said Monday they are assessing this area for the addition of the warning signs "as soon as possible," most likely this week. Ricks said if the additional signage is approved, it will take between two and three weeks to install.